Each ePOS location will have a default customer set for walk-in customers who do not want to register. If your location changes, or if the ePOS location is a mobile location (For example, moving from tradeshow to tradeshow), you may need to update the customer address information to ensure correct tax calculations. If the admin user has customer edit privileges, you can click on the link for the customer's ID, or manually search for this customer record under Customers > Search Customers. 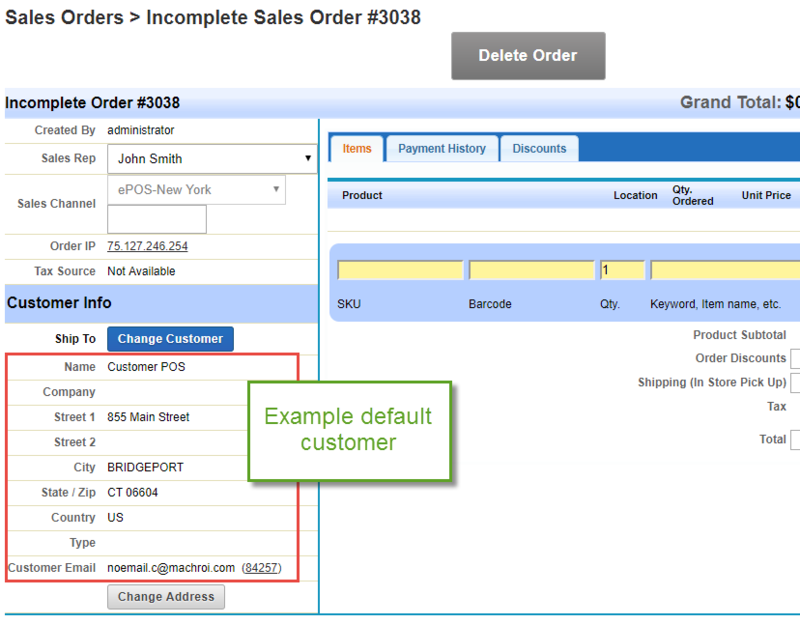 Once you are inside the customer record, you can Edit the customer record to update the customer details.